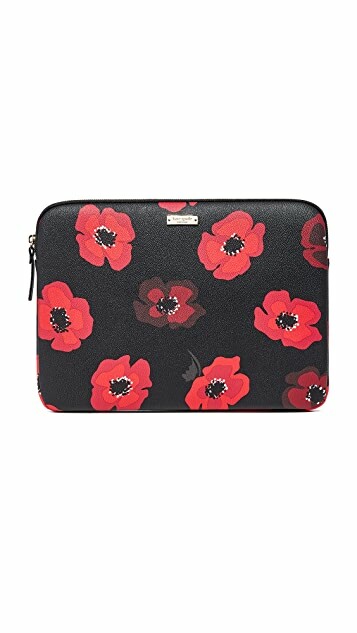 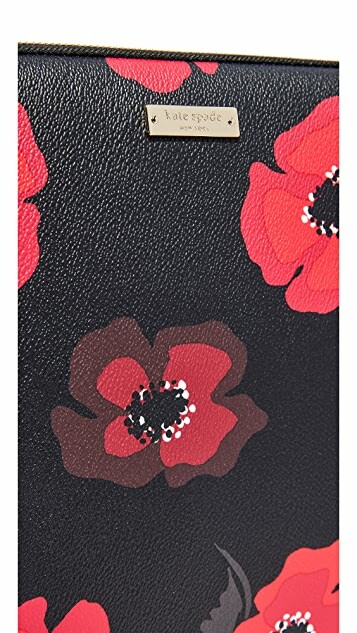 A padded Kate Spade New York laptop sleeve in print faux leather. 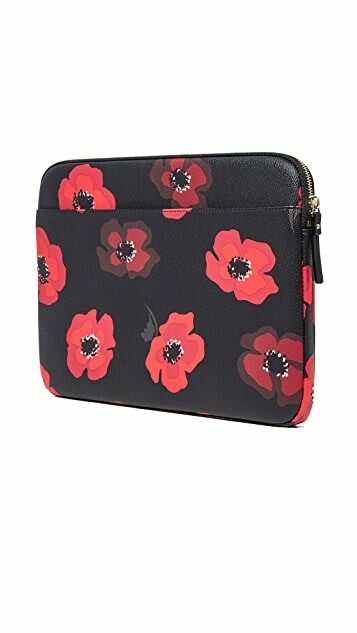 The top zip opens to a lined interior. 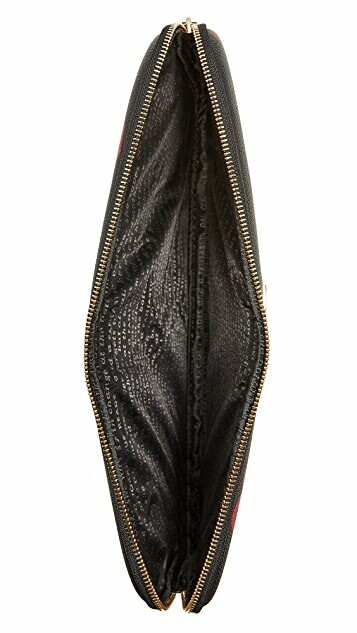 Slim outer pocket.